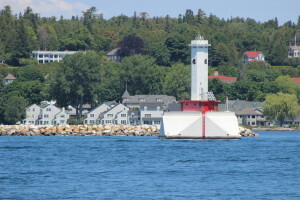 The Round Island Passage Light (also known as the Mackinac Island Light) is viewed by hundreds of thousands of people each year. 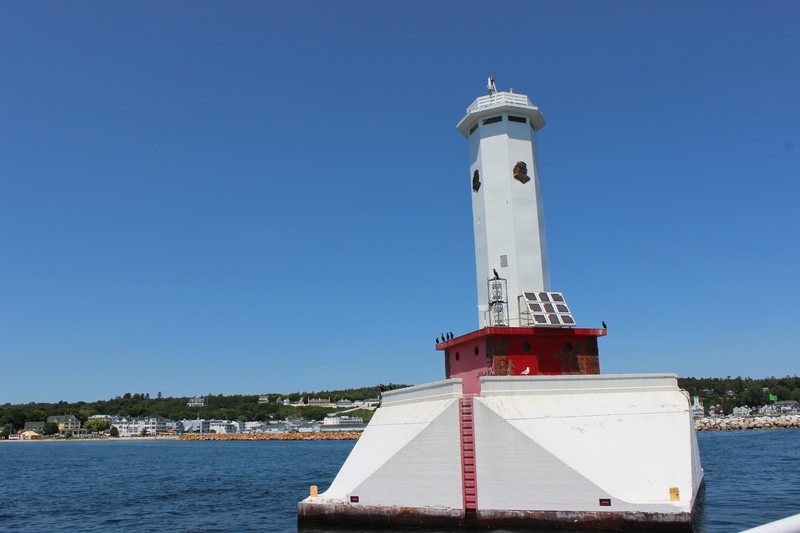 All ferry boats head to Mackinac Island from Mackinaw City and St. Ignace pass close by this historic beacon, which marks the north end of the channel between Mackinac Island and Round Island. 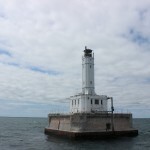 The Round Island Lighthouse marks the south end of this channel, which is an important part of the route that Great Lakes freighters carrying iron ore and other materials between Lake Superior and Lakes Huron and Michigan must travel. The channel is also used by the Star Line and Shepler’s ferry boats that deliver visitors to Mackinac Island, where automobile traffic is not allowed. 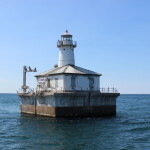 This light was constructed in the late 1940s, after earlier plans for its construction were delayed by World War II. 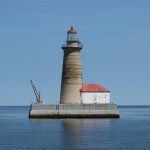 The Round Island Lighthouse had already been in service for more than 50 years. 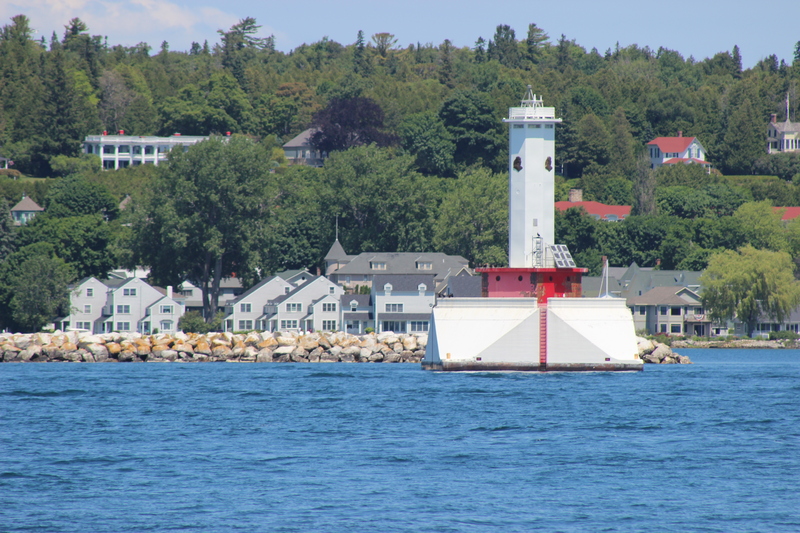 When first put into service the Round Island Passage Light was operated from a control house on Mackinac Island and a series of electrical cables ran underwater out to the light. The light features a timber crib foundation, a 41 foot square concrete substructure, and a 20 foot square steel plate enclosure painted red. From that point the octagonal white steel tower rises another 41.5 feet, giving this beacon a focal height of 71 feet. There used to be a steel antenna on top of the tower, but it was removed several years ago. 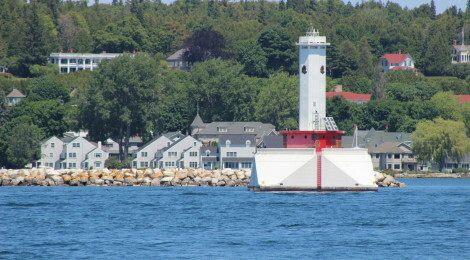 This light became automated in 1973, and now operates as a private aid to navigation after being sold at auction by the Coast Guard in 2014. 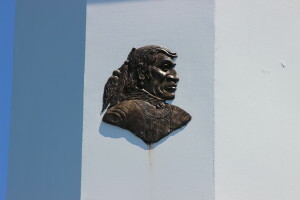 One of the more interesting features of this light is that four sides of the tower feature bronze relief Indian heads that are four feet tall and commemorate how important Mackinac Island was to Native American tribes. This light is easily viewed on all ferry trips to Mackinac Island. 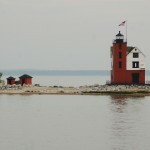 It can also be seen at a distance from Mackinaw City, the Mackinac Bridge, and from Mackinac Island. 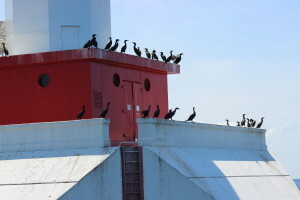 Shepler’s offers a special lighthouse cruise on select summer dates that gets closer to the Round Island Passage Light and spends more time there for pictures.